> Phantasy Star III is similar to Phantasy Star II but the stories are almost completely unrelated. Both games take place in the same universe but the stories are independent of each other. Like the previous game, Phantasy Star III is a top down 2D role playing game with turn-based random battles. > There's a lot I can say about PSIII. Suffice it to say, PSIII is the worst game in the Genesis series in my opinion. The main reason is because Sega changed the battle system. When you enter a battle you no longer see your characters from behind. Instead you fight battles completely from a first person perspective. Needless to say, it's just not the same. PSIII doesn't build on the success of PSII in terms of gameplay and art. Instead Sega took the game in a different direction. If any Phantasy Star game needed a remake it would be this. Feel free to disagree. > Phantasy Star III's story is more medieval than the previous games which are mostly science fiction merged with sword and sorcery. 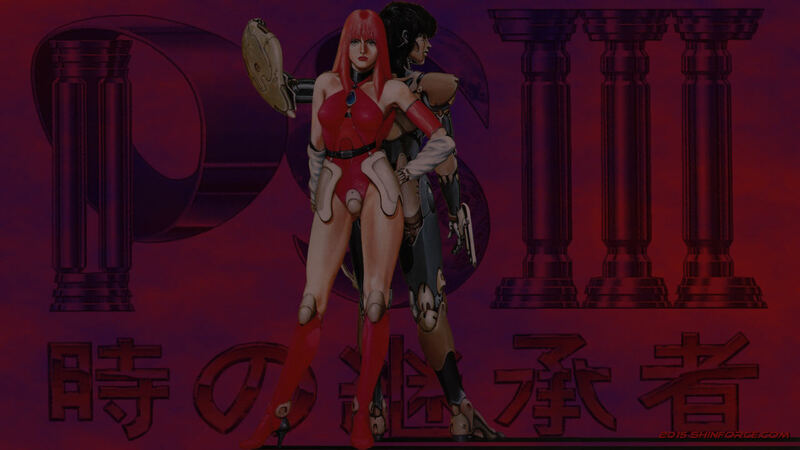 Phantasy Star III has a medieval fantasy setting that's set in a futuristic world. That makes it extremely unique. While I don't like how the developers changed the battle system, the story and setting make up for it. PSIII is like a medieval fantasy game but with advanced technology, cyborgs and biomonsters. The game itself is set on a giant space ship wandering through space. The people of the world are surrounded by advanced technology that they've long forgotten how to use. There are so few people in the world that it creates a depressing atmosphere. > You play the role of prince Rhys, the prince of Landen and direct descendent of Orakio. According to legends, Orakio was a swordsman who fought against a dark witch called Laya who controlled armies of monsters 1000 years ago. The war ended when all combatants were killed in the final battle and both Orakio and Laya mysteriously disappeared. Their bodies were never found, but before Orakio and Laya left for the final battle they ordered their people not to kill each other ever again. Your kingdom has lived in peace ever since. The world is divided into two clans. One is called the Orakians and the other is called the Layans, named after Orakio and Laya. The Orakians use cyborgs in battle and the Layans use biomonsters. Although 1000 years have passed since both Orakio and Laya disappeared, their memory has echoed down through the generations. But peace is not to be. > A strange girl with light blue hair named Maia washes up on the shores of Landen with no prior memory of who she is. Rhys and Maia fall in love and soon plan to marry, but on their wedding day Maia is kidnapped by a dragon knight from a Layan kingdom. Filled with anger, Rhys vows to wage war on the Layans to retrieve his beloved, but remaining true to Orakio's wishes, the king locks Rhys in a dungeon to calm down. He is set free by Lena and his journey begins. "This seemingly minor event sets an epic adventure in motion...."
> The graphics seem less colorful than PSII and rougher around the edges. PSIII seems like a different game compared to PSII which was sharp and very colorful. PSIII's graphics are more diluted than the previous game. The character portraits are a different style than before and look rougher and more grim-dark. Whether you like the art or not is subjective and therefore a matter of taste. There are many unique locations including castles and flying cities and places filled with advanced technology, which creates the impression of a clash of old and new, but overall the graphics are rougher around the edges and have lost their charm. It's a new style of art but with technically inferior graphics. PSIII's graphics have lost their unique colorful sci fi charm compared to PSII. The art makes you wonder if PSIII is a Phantasy Star game. Overall the graphics are good but not great. > Sega changed the battle system for some inexplicable reason and not for the better. The battle system is a lot different than before. Your characters fight from a first person perspective (through your eyes) instead of a third person perspective (from behind your characters), so instead of seeing a character attack an enemy by leaping onto the screen you will see a sword or a claw slash the screen. This detracts from the entire experience IMO because your characters don't feel like they are there. It dehumanizes your characters. This works for a first person RPG but this isn't a first person RPG. > I will give Sega credit for trying something different but there was nothing wrong with the battle system in Phantasy Star II (except for battles lacking backgrounds). Phantasy Star III fixed something that wasn't broken. It pains me to say it, but it has to be said. Instead of building on the success of the previous game, PSIII went in an untried and untrue direction. > Everything else is menu-based and easy to navigate. Your characters move slowly which might frustrate players but otherwise everything runs at a fairly smooth pace. > The music is more medieval and grim dark than PSII. It's hard to describe the music. It's a much different style compared to the previous game. The music is composed of synthesized electronic and classical instruments. The dungeon music sounds like organs at full volume combined with rising and tapering piano keys. PSII had more fast beats and the music sounded more electronic which suited the futuristic world. > The music changes to suit different situations. The town music is calm yet melancholy at the same time with slow synthesized electronic keyboard melodies and flowing bells that reflect the simple lives of the people. In battle the music will change pace from one moment to the next. I mean the music will literally change from one type of music to another depending on whose turn it is. Overall, it's not bad. One thing I like is whenever another person joins your party the overworld music changes slightly to reflect it. Once you have a full party the music changes completely. That was quite innovative. > PSIII lost the sci-fi atmosphere of the previous game and has a different battle system that leaves much to be desired. I think the battle system is worse. It seems like the series went backwards, not forwards. Nevertheless, it's worth playing if you're a fan of the series. PSIII isn't a bad game when judged on its own merits. Sadly it could have been so much more. Still, the game has a few redeeming qualities and unique elements that make it worth playing. The medieval theme alone makes this game worth playing. The theme is so unique that it won't quickly be forgotten. Fans will enjoy PSIII if they give it a chance. Unfortunately this game isn't for everyone. > Like the previous game, there are tons of unique enemies and bosses to fight and mazes to explore. Also like before, it's easy to get lost unless you are good at memorizing locations. You have been warned. This is an oldschool RPG in the truest sense of the word and therefore not for people who want instant gratification. PSIII doesn't herd you in the right direction, so it might frustrate you. PSIII is so oldschool that only true RPG fans will truly appreciate it. However, don't be surprised if you are tempted to give up early. > When Rhys finds Maia he is given a choice between marrying her or another woman. Marry the love of my life or some random stranger I just met? In any case, the game gives you a choice and whoever you marry has a son who continues the game. And it doesn't end there. Rhys's son can also choose who he wants to marry and you can see where this leads. PSIII has four possible endings depending on who your character marries. This can change the story completely. One moment you are an Orakian, the next you are a Layan which turns old allies into enemies. This is another unique feature in PSIII that's worth exploring if you enjoy immersing yourself in an adventure instead of just reading the entire story online in 5 minutes. The choice, my friend, is yours. > This is why Phantasy Star III is called Generations of Doom. Your destiny is handed down from one generation to the next. You need to explore each character's family tree to see the whole game. It's fascinating to see things from different perspectives. > I only recommend Phantasy Star III to fans of the series because it's such a drastic departure from PSII. I wouldn't say that it has nothing to offer though. If you can look past the different battle system then this game has many redeeming qualities. Knights versus biomonsters and cyborgs. This was a great idea that was implemented poorly, and yet I keep coming back. The medieval theme set in a futuristic world draws me in like no other game. Overall, I think the good outweighs the bad. Phantasy Star III's theme alone makes this game worth playing. It's not a bad addition to the series but it could have been so much more.